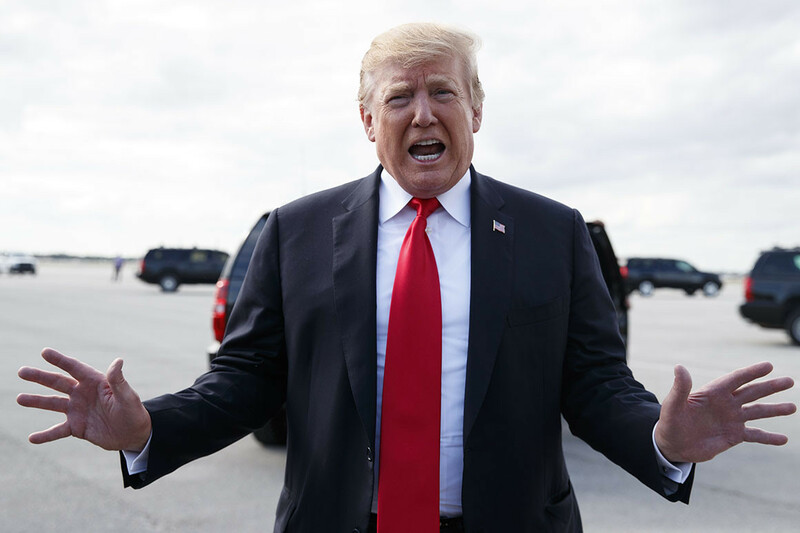 President Donald Trump, in his first interview since the end of Robert Mueller’s investigation, reiterated on Wednesday that the special counsel’s inquiry was unnecessary and that the focus of public suspicion should have been on the other side. Speaking to Sean Hannity on Fox News, Trump attacked Mueller’s team as being populated by Hillary Clinton supporters and part of a greater Democratic smear campaign against him. Though Mueller’s report is not known to fully exonerate Trump for every subject of the probe (the report has not been released to the public), Trump doubled down during the interview that there was nothing to find. Mueller’s investigation into Russian interference in the 2016 presidential election ended Friday, and a summary of his report by Attorney General William Barr declared that the special counsel was unable to uncover evidence of a conspiracy or coordination between the Trump campaign and Russia. The finding was a point of vindication for Trump and his supporters, who have long derided the investigation as a “witch hunt.” Members of Congress continue to investigate Trump for his business practices and ties to foreign nationals. In the interview, Trump went so far as to say it would have been more reasonable for Russia to promote Clinton as its preferred candidate, citing with little evidence that she would have impeded American oil and gas drilling, upping Russia’s position in global markets. “You look at all of the different things, Russia would’ve much rather had Hillary than Donald Trump. I can tell you that right now,” Trump told Hannity. Federal investigators have established that Trump was Russia’s candidate of choice and that the country engaged in information warfare to influence the election in his favor. President Vladimir Putin also has a deep-seated, documented mistrust of Clinton after her term as secretary of state. Trump also took a direct swipe at former FBI Director James Comey, who on Wednesday also had his first interview since the end of the Mueller probe. Speaking to NBC’s Lester Holt, Comey said his firing could amount to obstruction of justice if it was motivated by alleviating Trump’s Russia woes. (Comey stopped short of actually saying it was obstruction.) Shortly after, Trump called Comey a “terrible guy” and said he could fire him for any reason. Trump even said he knew it would be a politically damaging move, but did it anyway. “It would be a bigger deal if I fired him, and I knew that,” Trump told Hannity.